Oink oink, you hear me. Touching my belly and shout Belly Good, very good. 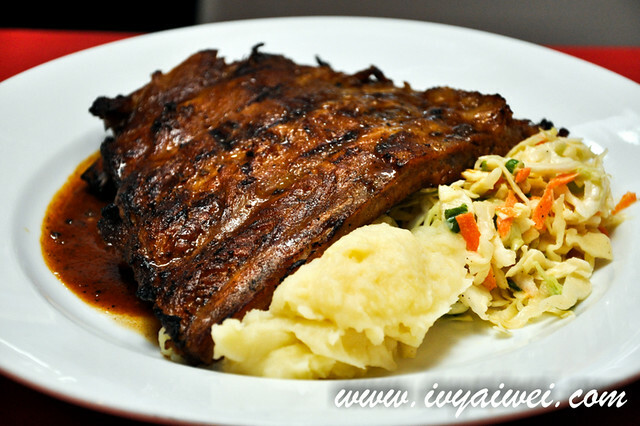 Belly Good is a non halal Western restaurant that is specially catered for pork lover; serving signature dishes such as grilled pork bellies, grilled pork ribs, back baby ribs as well as pork chops and pork burgers. On one Sunday, I decided to shower my family with a good meal and this place just came across my mind. One of the signature dishes and also my favourite. 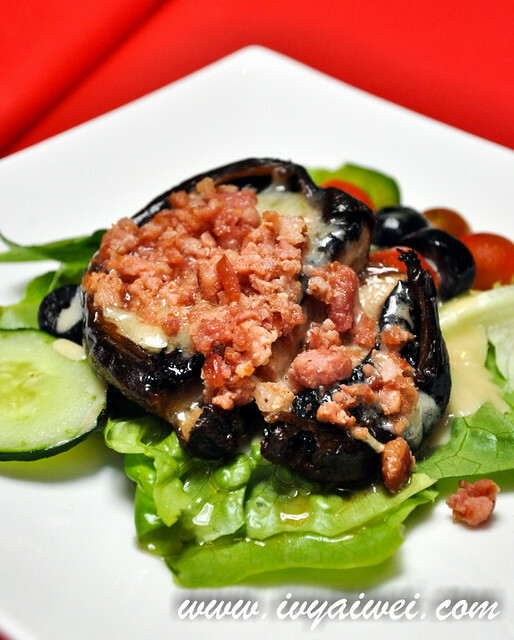 Imported fresh mushroom with melted cheese and chopped bacon. 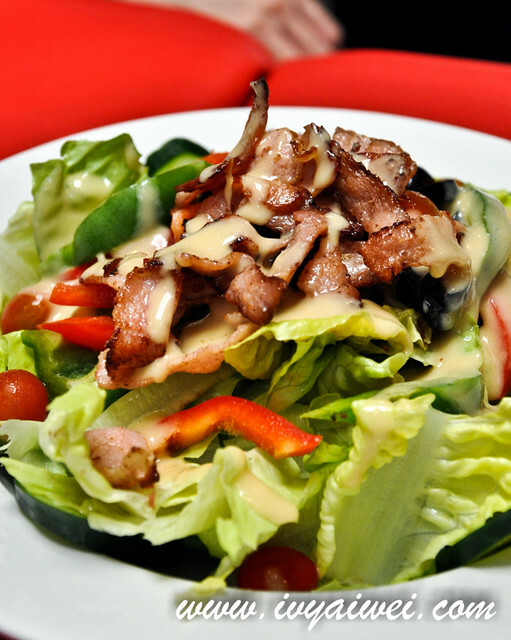 Delicious pork bacon on a bed of fresh greens serving with sweet honey mustard dressing. 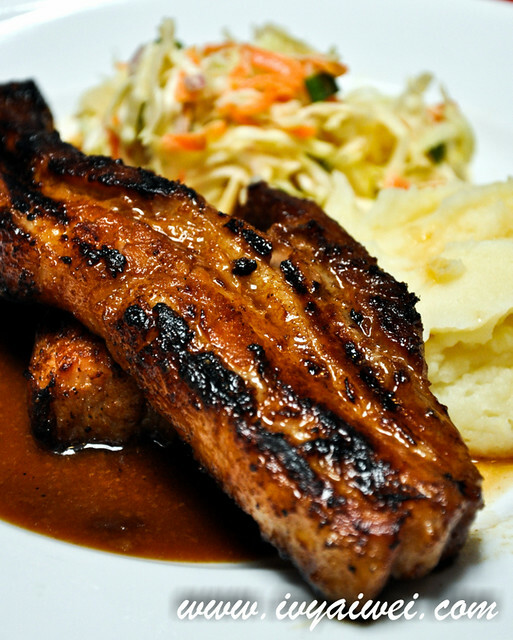 Grilled pork belly marinated with chef’s irresistible in-house sauce and served with homemade mashed potatoes and fresh coleslaw. Love the evenly proportionate fats and lean meat of the pork belly, succulent and juicy with the sweet tinge of secret sauce. 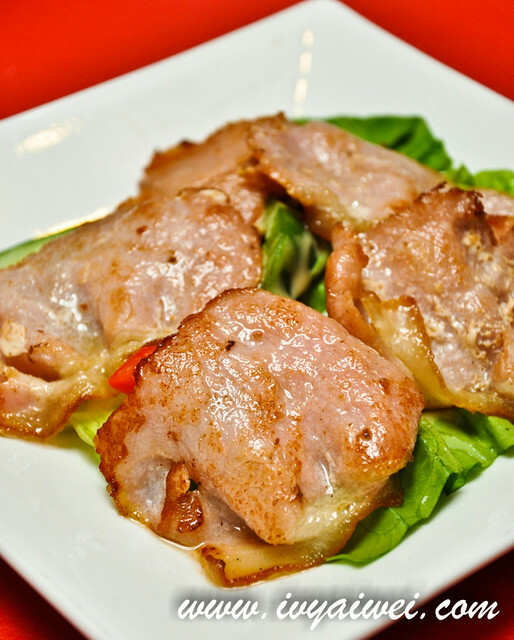 Much like char siew, but in the western style. 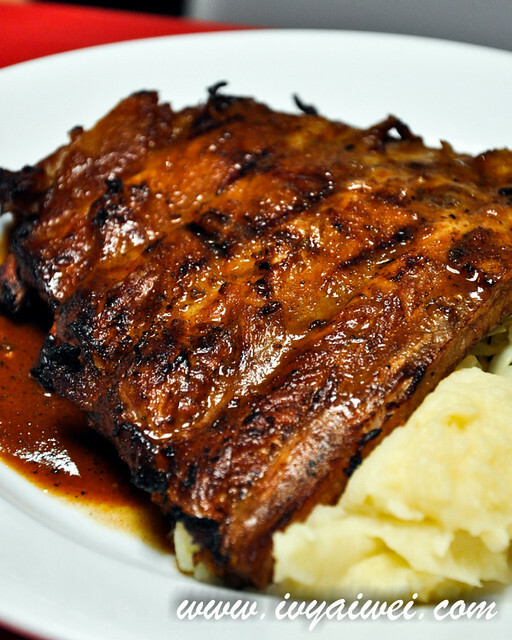 Their Pork Ribs, Pork Belly and Baby Back Ribs are marinated for a day beforehand and then tenderized by braising for a moment before touching up with smoky grill to give it the smoky grilled flavour. 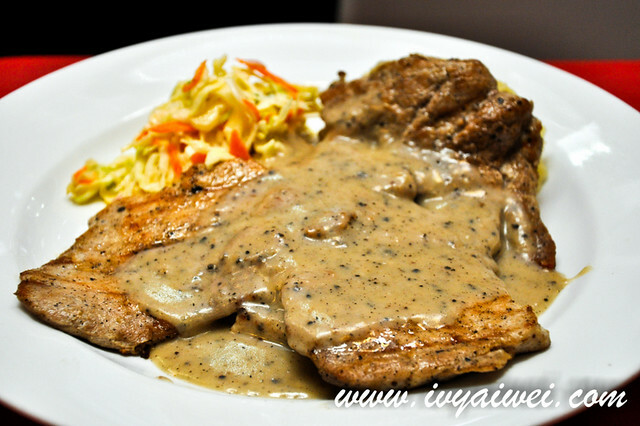 Grilled pork chops that drenched up with homemade brown sauce. However, it was a little too dry to my liking. 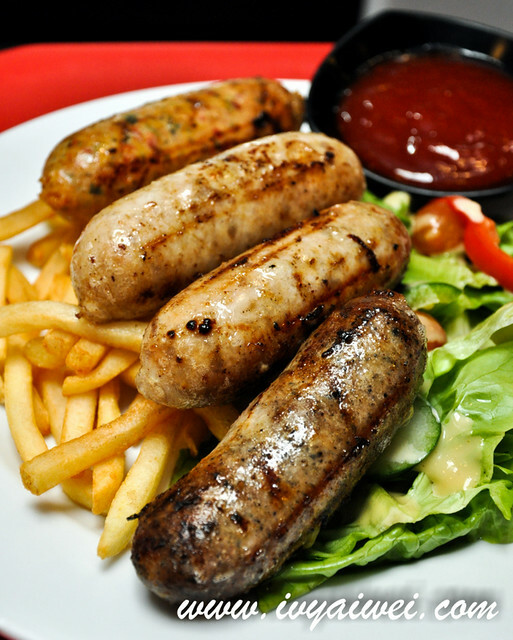 Sticks of homemade sausages which are Garlic sausage, black pepper sausage, classic bratwurst and spicy pobiano served on a bed of fries and salad. I myself fancy the classic bratwurst the most. And finally some carb. The spaghetti was prepared in an al dente way, tossed with garlic oil, onions, sliced sausages and mushrooms and came in with a spicy hint. Great name! 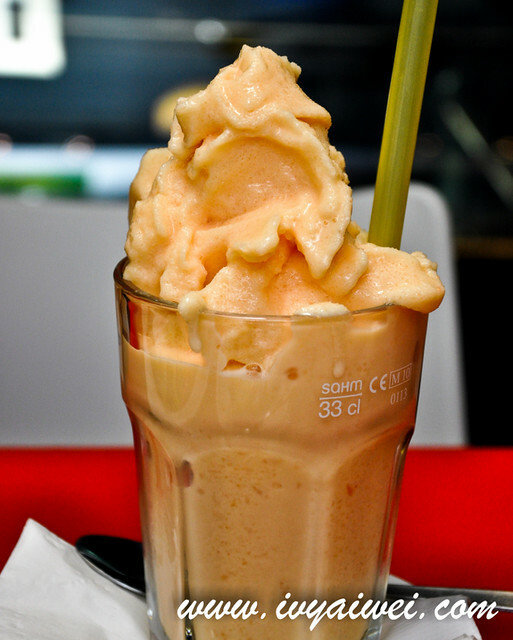 I’d love one of those passionfruit smoothies. wah.. 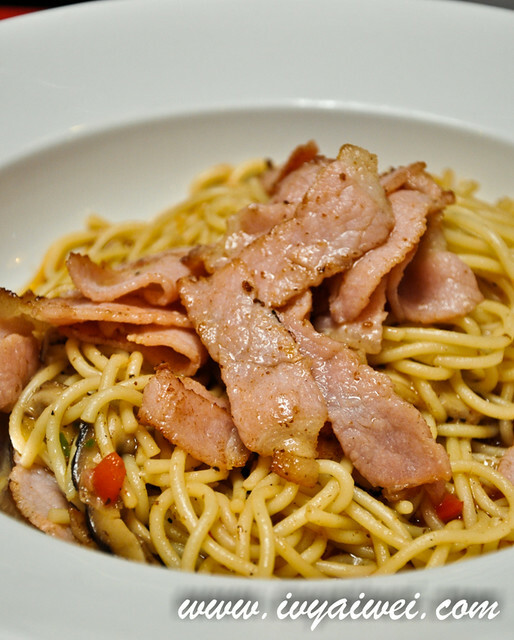 I always love pork restaurants… Belly Good sure looks velly good!! !